Feb. 27, 2018 1:40 p.m.
A family that runs a Langley greenhouse says the new provincial health care payroll tax will cost the business an extra $100,000 a year. Tamara Jansen, whose family has been operating Darvonda Nurseries for well over three decades, warned the tax could force them to make cuts, sell property or even relocate. “It’s (the tax) going to hurt a lot of people in agriculture,” Jansen told the Times. Jansen was interviewed Tuesday after Langley East Liberal MLA Rich Coleman rose during question period in the legislature to say the Jansen family has been “blindsided” by the new tax. “Do you think this family should lay off people, should they reduce production, make it a smaller farm, sell the farm or increase prices?” Coleman asked, directing his remarks to the provincial minister of agriculture. Finance minister Finance Minister Carole James responded by saying that most businesses won’t pay the tax or will pay only a portion. “Anyone with a payroll of under $500,000 will not pay anything,” James said. The five per cent of businesses with payrolls of more than $1.5 million will pay the full 1.95 per cent, she added. Businesses that fall between will pay a portion of the full tax. “We are protecting health care that we all care about in this province, and supporting small business, and supporting citizens in British Columbia,” James said. 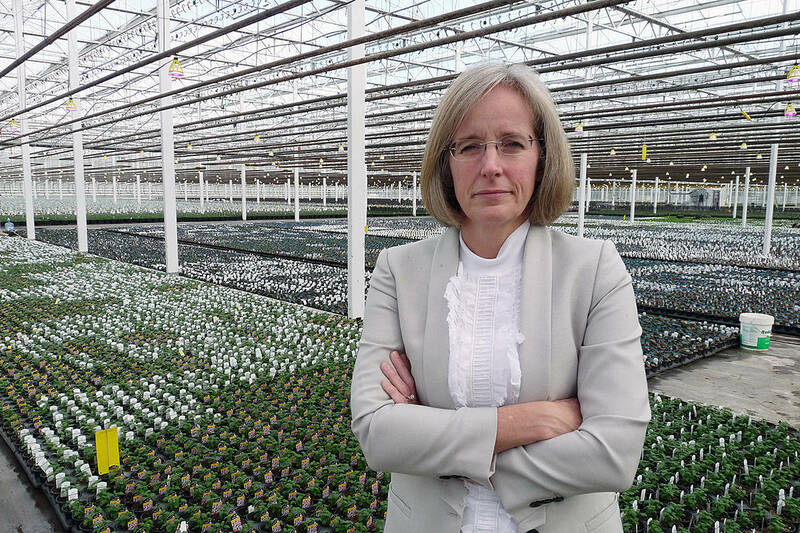 Jansen, who described herself as “indignant and frustrated,” said other large greenhouses are in the same boat. “What are they expecting us to do?” Jansen said. Options could include selling off portions of the farm or even relocating to Alberta, she said. Following question period, Coleman warned the health tax could also lead to a two or three per cent hike on municipal taxes, because many cities have payrolls above the $1.5 million ceiling and the extra cost will likely be passed on to residents. “People are starting to figure this thing out,” Coleman said. The NDP government announced that it would be phasing out medical services premiums by 2020 and instead will have an employer health tax of 1.95 per cent for companies with a payroll over $1.5 million. The “employer health tax” takes effect Jan. 1, 2019. Businesses that pay employees’ MSP, at a rate that was cut by half at the start of 2018, will also pay the payroll tax for one year, before MSP is ended on Jan. 1, 2020. The government estimates that people who pay their own MSP will save an average $900 per year for individuals and $1,800 for families when MSP is eliminated. The finance minister has said the decision to stop MSP and recoup some of the revenues via tax is similar to what other provinces have done, and B.C.’s payroll tax has a lower rate than Ontario, Quebec and Manitoba. The tax is expected to raise $1.9 billion per year, compared to $2.6 billion collected when MSP was at its highest rate in 2016-17.